Today, due to the announcement from NASA that we got yesterday about that there may be a possibility that water exists in Europe to be able to escape to the surface (it was known that Europe has water long ago) I want to talk about the exosphere. Some planets have atmospheres. An atmosphere is a gas that surrounds a planet in full (gas or gases) that does not have to be in the same density or be the same type on the entire surface. It is easy. Gases, the atmosphere, as happens on Earth, by the weight of gas has different densities, so the gas is denser closer to the surface are simply by the weight of the upper gas. This is known by all and will not go deeper into the subject. Just indicate that atmospheric gases remain “stuck” to the planet by various causes. One, as I mentioned, is the push by weight of the above gases, another is the temperature as a cold gas condenses and falls (making the atmosphere is thinner) or heated and “floats” rotation the planet and composition are also causes of good and nice atmosphere. The exosphere is a part of the atmosphere of a planet, farthest from the center located at a point where neither have gas above the push down, nor has temperature variations change their condition. The only thing that keeps the gas stuck to the planet is gravity. It is the last layer of atmosphere of a planet and above this, there is the “empty”. It is practically a layer of suspended particulates. In Europe it has been observing the atmosphere that the planet could have through optical telescopes, taking advantage when passing from the sun to image contrast. When he passed in front of the Sun, the telescope and the people who worked on it they have seen water jets emerging from the surface. That is why it has been published that photo so rare, with blue background Sol (this passed through a filter) and where, at the bottom of the left said jets are observed and also as the atmosphere of Europe it can be composed of these jets of water found in the exosfera. 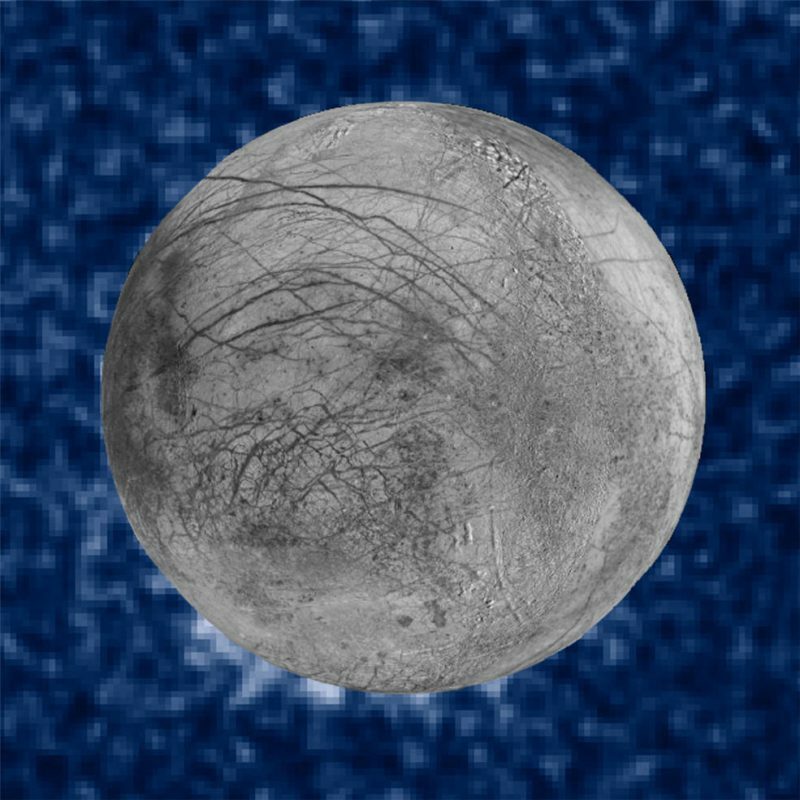 That is, Europe expels water thanks to Jupiter, with its gravitational pull, keeping it moves its core hot and, therefore, has geysers that spew water that is trapped like atmosphere in the exosphere by the gravity of Europe. It is expected, and rightly so, that via optical methods can see the water composition by the light that passes through. This, going by water is diffracted as the composition of this (you know, like water “turns” in the water, turn as’ Remember that composes the prism experiment as it shows all color-) and you can know how is this water without having to go there to see it directly. The latter, with more time, you know.